Hughes Aerospace has many openings for qualified design engineers in Culver City, California. 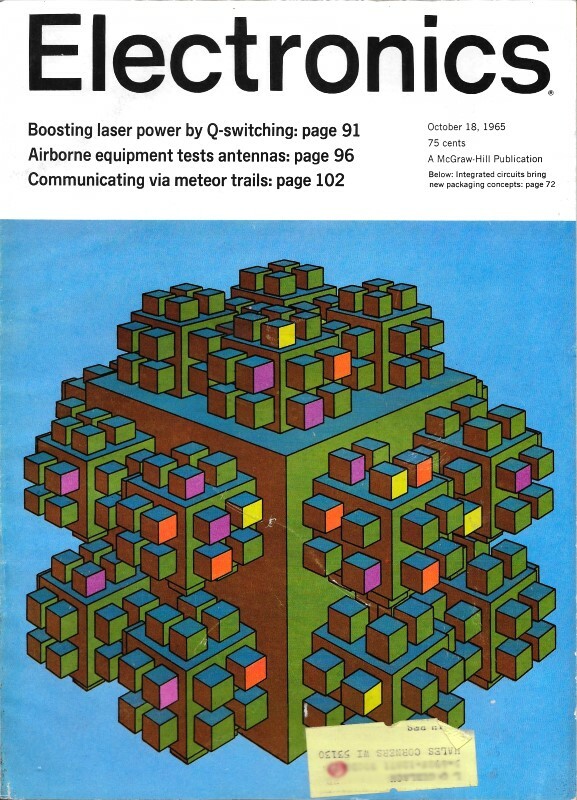 High power airborne transmitters, low noise receivers using parametric amplifiers, solid state maser component development, radar processing systems, crystal oscillators, telemetering, and high efficiency spaceborne power supplies are among the kinds of specialties needed by Hughes to support military and civilian projects. If you have been looking for just such an opportunity, then the wait is finally over... provided you happened to see this advertisement in Electronics magazine back in the fall of 1965. 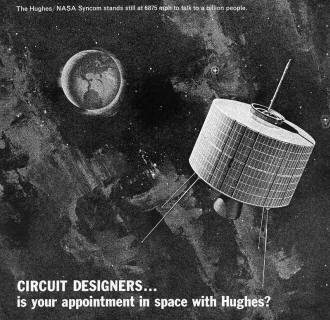 Circuit designers... is your appointment in space with Hughes? Today, Hughes is one of the nation's most active aerospace/electronics firms: Projects include: F-111B PHOENIX Guided Missile System, TOW Anti-Tank Missile, SURVEYOR Lunar Spacecraft, SYNCOM, POLARIS, VATE, Hard Point Defense and others. * Answer: A geosynchronous orbit is inclined relative tot he equator and a satellite in that orbit appears over the same point on Earth every day at the same time. A geostationary orbit lies on the equatorial plane and therefore remains above the same point on Earth all the time.